When he passed away, at the age of 51, on October 30, 2012, Franck Biancheri was the director of research of the Laboratoire européen d’Anticipation politique (LEAP) and the founder and president of honour of Newropeans. He was and will remain also a prominent founding father of the Erasmus programme. Under his direction, the Laboratoire européen d’Anticipation Politique (LEAP) has achieved many conferences and studies on the future of European governance, the place and role of the EU in the world, the democratisation of Europe, etc. In January 2006, LEAP became famous with its monthly bulletin, the GlobalEurope Anticipation Bullettin (GEAB), which he relentlessly coordinated from the start until de very last days of his life. In particular, the GEAB announced in February 2006 an imminent global crisis (called « global systemic crisis » by LEAP) and since then every month anticipated in detail the next stages of this crisis. Newropeans is the only trans-European political party. Fifty-three years after the Treaty of Rome was signed, at a time when the entire public life has become trans-European (currency, public services, circulation of goods and people, companies…), political affairs remain in the hands of national parties! It is this absurdity and major danger for our democracies that he decided to address when he created Newropeans in 2005 with his road-companions and when they ran – with no money and no media support – for the 2009 European election in three different EU countries: France, the Netherlands and Germany. As a student and president of AEGEE-Europe, he contributed decisively to the launching of the ERASMUS programme (more details on this episode are given below). Born March 11th, 1961, he was a teachers’ son. He therefore grew in the French Republic’s school playgrounds, free and protected at the same time, lonely (he was single child) and surrounded, a playground for him alone everyday… and a fairly good understanding already of the corridors of power (that of school teachers, the « powerful ones » in the eyes of a pupil). At the end of a good scholarship, he passed his Bac C (scientific) at the age of 17 at the Lycée Massena of Nice, where his family had come back to settle after 15 years spent in the region of Paris. Association des Etats Généraux des Etudiants Européens, AEGEE was born from a European congress organised by Parisian high schools and the Sorbonne. Two years later, AEGEE was displaying some 50 university antennae throughout Europe and over 10,000 members, organising major events (the European night, connected by satellite) and above all made it possible for ERASMUS to exist, drawing President Mitterrand’s and Chancellor Kohl’s attention to the fact that the French, German and British education ministries were in fact burrying the project. The lunch which took place at the Elysée Palace in April 1987 between AEGEE members and Mr Mitterrand, and which resulted in the French President strongly reasserting his support to the ERASMUS programme during a TV interview on the same day, was the decisive moment of the programme’s unblocking and adoption. As announced two years before, in 1988, as AEGEE-Europe had become the unavoidable European student movement in the EU system, he quit the presidency and created with most of the group of AEGEE founders the first trans-European political party, “Initiative pour une Démocratie Européenne” (IDE). He would never have imagined that IDE, an enriching student political experience, would remain in the next 20 years, and until Newropeans, the only successful trans-European electoral attempt: indeed IDE managed to run for the 1989 European election in Spain, France and the Netherlands. If the organization did not survive to the costs implied by its first European campaign, the same spirit today blows in Newropeans; moreover, IDE was a formidable test from which he drew innumerable lessons useful to today’s development of Newropeans. As anecdotal, one of the five key bullet-points of IDE programme, developed beginning 1988, recommended that the European community prepares itself to the « return of Eastern Europe to Europe » in the next ten years, based on the idea that USSR could no longer prevent this kind of development. During the first semester of 1989, many journalists referred to this point in order to illustrate the « delightfully naive » touch of ours analyses. History proved that only one more year was needed to reach this point of return to Europe. In the 1990s, he gave himself the means to perpetuate AEGEE’s mission by creating Prometheus-Europe, an association of young European professionals dedicated to the information on EU policies and programmes serving both potential beneficiaries (top-down information) and institutions (bottom-up evaluation). Of course the second part of this mission was the most political and useful but also the most controversial within EU institutions. As part of their activities at Prometheus-Europe, they discovered many dysfunctions in European policies and programmes which led them to blow the whistle – in a constructive way, as they always made concrete reform and improvement proposals. It was the case in particular in 1991 when, shocked by the disinterest on the part of the concerned services at the European Commission, Franck Biancheri signed an open letter, written by the team of Prometheus-Europe, on the dysfunctions of the TEMPUS programme, sent it to 500 top-level officials from the European Commission, the entire European Parliament and all EU Ministries of Foreign Affairs and Education. The letter triggered a European Court of Auditors investigation (which he was officially asked to take part in) which represents the first serious questioning on the opacity and mismanagement of EU programmes. In general, all along a decade, he regularly warned the Commission that it was heading to serious problems if it failed to reform its operating modes, namely those used in the management of its programmes. Considered as trouble-makers, one year before its resignation, the cabinet of the President of the Commission Jacques Santer, required them to stop sending their views on these issues to the Commission. What happened next speaks for itself. Meanwhile, during the 1990s, Franck Biancheri engaged Prometheus-Europe in a series of global meetings, organising some thirty conferences on the future of Europe’s relations with the rest of the world: Arab world, Latin America, Asia, Turkey, Russia and North America. It gave him the opportunity to discover the world and above all to get to know what people of my generation had in mind when thinking about the coming decades. One of the greatest souvenirs he kept from that period is the sequence of three major congresses organized in Thailand, Peru and the US: a shock of cultures, partnerships and ideas very helpful to understand better the practical difficulties of on-going globalisation. Regarding Transatlantic relations, in 1997, the European Commission asked him to build up a team of Europeans who would participate to the “New technologies” workshop of a major congress held in Washington and supposed to involve civil societies into EU/US relations. From this meeting was born the TIESWEB project which then became one of the main innovations in this field of the decade that followed. TIESWEB, and all related conferences, made him discover two thirds of the country’s states and meet with a very large sample of US society. This experience completed the knowledge he had gathered in 1991 when the US government invited him on a one-month visit of their country in the framework of their « Young European Political Leaders » programme. Concluding to the fact that it was time to switch from vain criticism (because targeted at bureaucracies who do not want to change) to a more constructive attitude, he then created the Europe 2020 network, an independent think tank working in collaboration with various organisations and with the national and European institutions (European Commission, national Ministries of Foreign and/or European Affairs, mostly) on key-topics of the future of EU: governance, democratisation, EU place and role in the world, institutional reform, enlargement, etc. 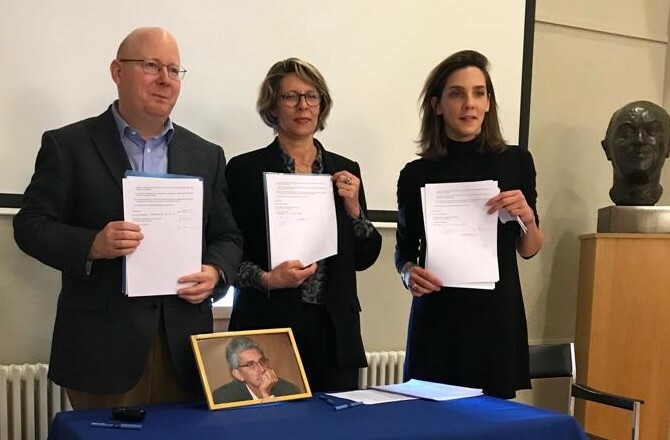 This initiative thus developed a parallel reflexion to that of the institutions, such as the Commission’s “European governance” Task Force with which they collaborated. After the salutary crisis which resulted from the Santer Commission’s resignation, the possibilities were endless, unfortunately the white book released by this task-force was buried by the Commission’s general secretary (who, strange coincidence, happened to be the former head of the TEMPUS programme which we had denounced in 1991 for mismanagement… obviously in a bureaucracy, incompetence brings in!). As he saw all chances of reform vanish, and most young, motivated and competent Eurocrats begin to leave the Commission, he decided to waste no more time with Brussels and to reorient Europe 2020’s anticipation seminars in the direction of national Ministries officers and diplomats. They continued to publish reports, executive summaries and operational recommendations to the intention of the institutions until 2005. In this context they finally warned the French government that they were convinced the referendum on the European Constitution would fail is people’s legitimate democratic demand was not addressed and if the way to communicate on Europe was not radically changed: no more little children and flying balloons, time for a Europe of citizens willing to understand and be involved. After a vain debriefing with the Minister of Foreign Affairs, Franck Biancheri came to the conclusion that it was time to initiate a new phase: since the institutions and national parties were incapable of anticipating European changes, of reforming and democratising the EU, it became necessary to turn to political action, returning to the concept of IDE. In January 2005, he therefore proposed o create Newropeans, and in the next six months, he and a group of faithful road-companions prepared the launching of the party which saw the light a few days after the Dutch and French referendums failed as anticipated. In the mean time, breaking up with twenty years of difficult but constant cooperation with all or part of the European system, he launched the Laboratoire européen d’Anticipation Politique (LEAP), targeting the general public this time and grasping a theme he had seen growing in the previous years and which he then considered was becoming imminent: the global systemic crisis. In February 2006, he signed the public announcement which blew the whistle on an upcoming triggering of this global systemic crisis. To his great surprise, it generated a major infatuation worldwide with millions of readers on the Internet … while simultaneously a large majority of experts sniggered, considering such contingency utterly wacky. There again we know the rest of the story, as the world has been thrust into this crisis since at least mid-2008. * In 1996, in Marrakesh, in the framework of Prometheus-Europe, he and his companions organised one of the biggest congresses on the future of Euro-Mediterranean civil society relations. * In 1997, in Blair House, during the Washington Euro-American congress, he launched TESWEB, the first Transatlantic web portal for a dialogue between European and American civil societies. * In October 2000, in order to celebrate the emerging of new generations of Europeans born after the Treaty of Rome, and contribute to invent tomorrow’s Europe, Prometheus-Europe, in partnership with other organisations including AEGEE-Europe, held a congress entitled “Newropeans 2000 – New Europe, New challenges, New generations” which gathered more than 2,000 young Europeans together with many heads of states and governments, ministers and European commissioners. This Congress gave its name first to a citizen organization which then became a political party in 2005. * In June 2002 and as a consequence of this congress, he launched one of the world’s biggest e-democracy projects, EU Student Vote, to elect by internet the first EU student Council. Due to this project, he was elected one of the 25 people/projects “who changed the Internet and political world” (out of 1,096 propositions identifying 292 people or websites in 30 different countries) in the framework of the online election organized by Politics Online and the 5th iDemocracy Global Forum! * In 2002-2003, he dedicated a whole year to the completion of a series of 100 citizen conferences in 25 European countries, the Newropeans Democracy Marathon, on the theme « What future for Europe? ». These conferences, and the resulting exchanges with thousands of Europeans from all social categories and ages, enabled him to elaborate the basic corpus of what was to become the political programme of Newropeans, a programme therefore founded on the individualized consultation of the European public opinion, later validated by the members of Newropeans. * In 2003, he had the pleasant surprise to be elected one of the ‘European Heroes of the year 2003’ by the readers of the Time Magazine. * In 2005, in the same line as the NDM, he engaged himself in a Transatlantic Citizen Marathon organized by TIESWEB. In this context, he visited 10 different states where he conducted conferences and debates with US citizens on the future of EU-US relations. * In 2006, he decided to launch the GlobalEurope Anticipation Bulletin in the framework of the Laboratoire Européen d’Anticipation Politique (LEAP). In February, the second issue of this monthly electronic bulletin released a « Global systemic crisis alert » which toured the world and inaugurated the new publication’s fame. Then on he coordinated the edition of the GEAB which continues to analyze the crisis’ trends and to anticipate its next stages. * In 2009, on the eve of London’s G20 summit, he decided LEAP to invest in a full page advertisement of the Financial Times’ international edition in an attempt to blow the whistle on the necessity, as a matter of urgency, for global leaders to re-think the international monetary system and to base it on a basket of currencies instead of the sole US Dollar, a currency at the origin of the world’s financial, economic, social and political chaos. * In 2010, the Spanish presidency of the EU made him the honor of including him among the « 20 people who changed our world » for his decisive role in favour of ERASMUS. … Franck Biancheri is the author of a large number of articles. Better known abroad than in France, he was invited to speak in many conferences worldwide and gave regular interviews to foreign media. In May 2012 in Enschede (NL), he gave his last major recomendation to the rising generations during AEGEE Europe’s Agora, where he called for a “refoundation” (rebirth) of the student movement as a trans-European democratic project and invited the students to “occupy the future”. He also wrote two fundamental books: The Emergence of Euro-Citizens, published in 1995, describing the adventure of the creation and first years of development of the first significant European students network, AEGEE Europe; and Vision Europe 2020, Reinventing Europe 2005-2020, the first European political object drafted by generations born after the Rome Treaty, which he signed in 2002 at the end of his European marathon, prefaced by Jean Guyot, first financial director of ECSC and a collaborator of Jean Monnet. 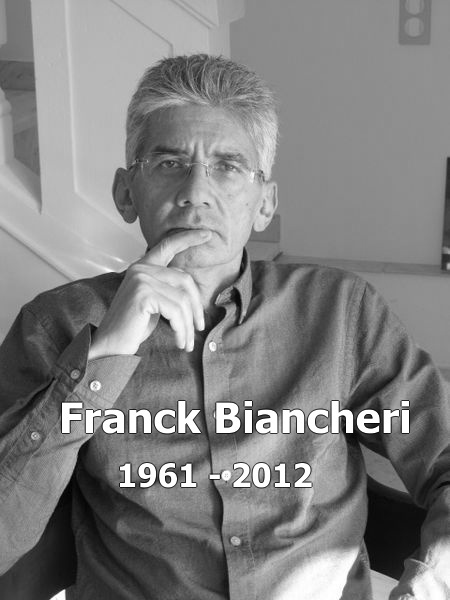 Franck Biancheri passed away aged 51 on October 30th, 2012, from a long illness he fought with as much courage and determination as he had fought all along his life against the schlerosis of Europe’s political world. His willfulness gave him hope in men’s capacity to overcome History.